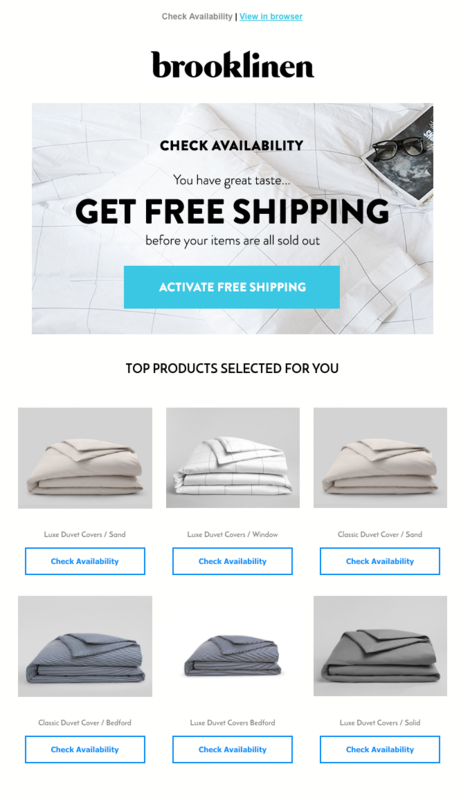 Home Strategies What Makes a Great Cart Abandonment Email? Shoppers will abandon carts, for a variety of reasons, but fortunately many can be tempted back to the purchase, often through basket abandonment emails. 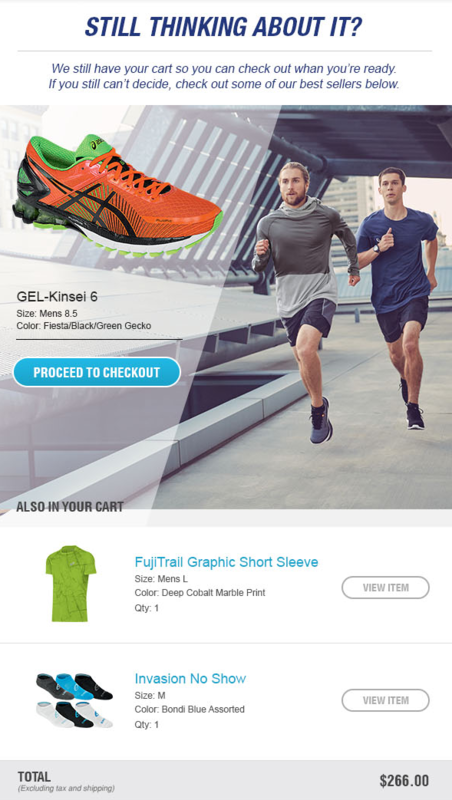 For the best results, a lot of thought needs to go into the creation of cart abandonment emails – the creative used, the products shown, and the timing of emails. Subject lines are key to grabbing the reader’s attention. What works will depend on the brand and context, but they should deliver a clear and informative message about the content of the email. The table below shows subject lines grouped by content, using data from 500 global brands. 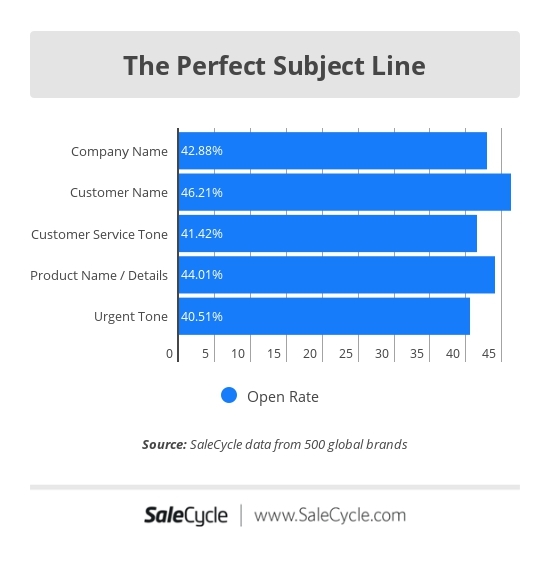 The winner here is the customer name, which also achieves the highest conversion/send rate, of 3.7%. From what we know about the effectiveness of personalization, this makes perfect sense, though testing is the key to finding the right blend for your own emails. The best times and days to send emails are hotly debated, and you’ll find many different answers to that question. 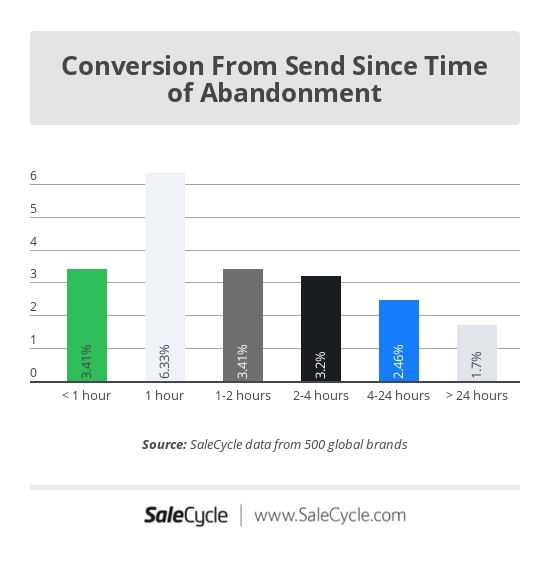 It’s slightly simpler for abandonment emails, as the day of sending is decided by the customer when they abandon. However, the timing of emails from that point plays a big part. Broadly speaking, emails should be sent while the potential purchase is still in the customer’s mind, so we find the best results are achieved by sending remarketing emails within an hour of the abandonment. 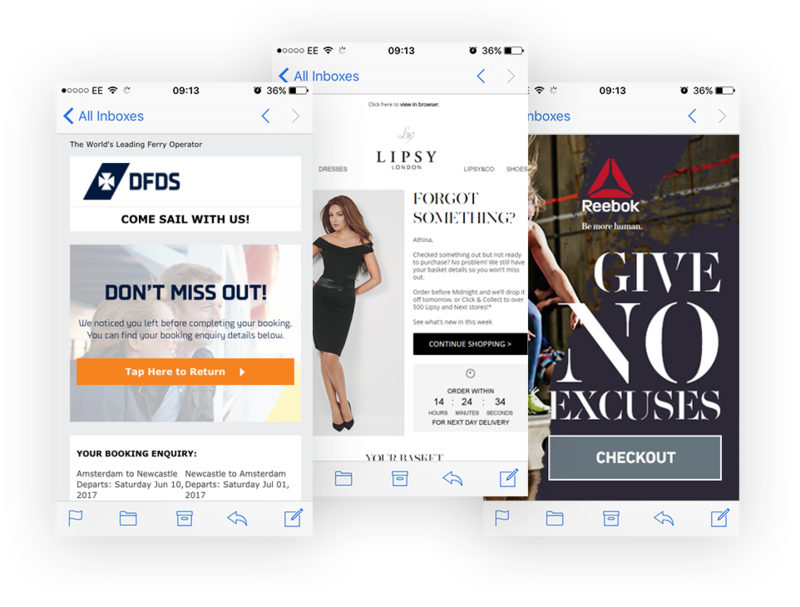 Using dynamic content in remarketing emails ensures that content and visuals are up to date and optimized to the individual user. Combine context and data to show your customers live information such as pricing. Change the visuals and information based on where in the world the shopper is. Update the information and design depending on the device they are using. Use up-to-the second results to ensure that you are using the highest converting images. Display up-to-date consumer trend information such as product popularity or stock levels. Show customers the products they were thinking about buying, and include the information they need: size, color, price etc. 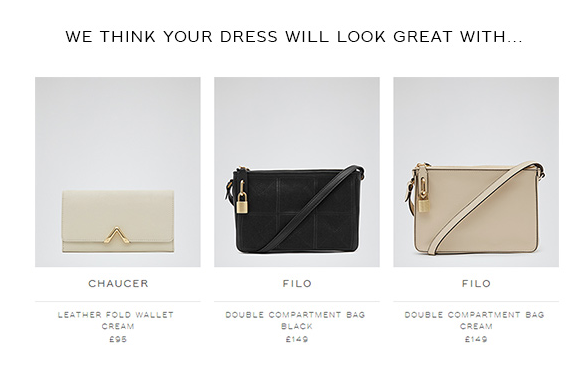 Images are important too, as they offer a quick reminder for shoppers. They may have abandoned several other baskets, so it’s important to provide a clear summary. 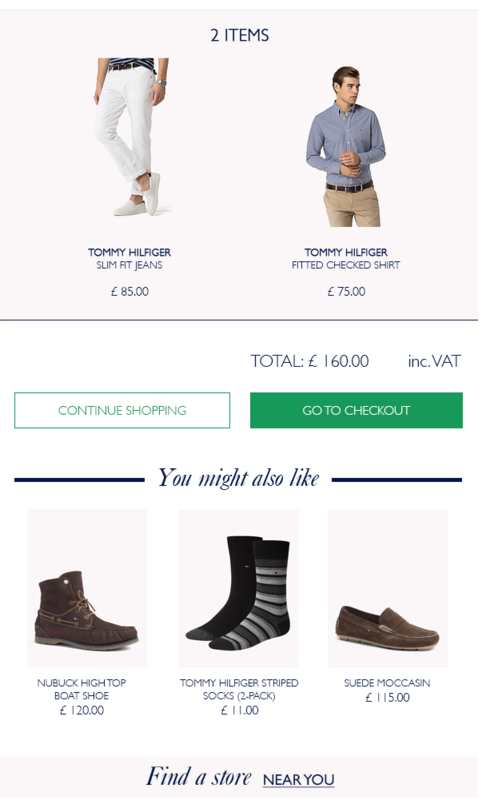 Some advise offering discounts in remarketing emails to provide that extra incentive to complete a purchase, but this isn’t necessarily a good idea. 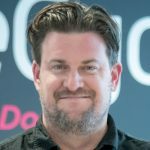 Offering discounts can be a sound tactic if customer acquisition is the aim, but there is a real risk that discounting will reduce profits in the longer term. 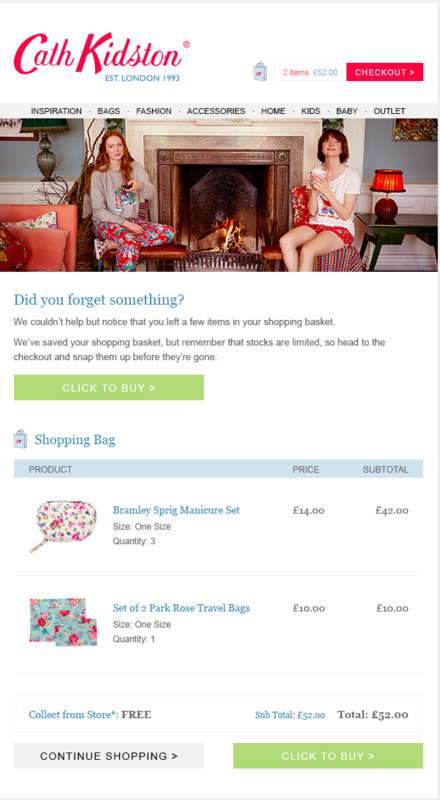 Cart abandonment emails can work well enough without discounting, so we advise against this. The risk is that, by offering too many discounts and too early in the cycle, retailers are reducing their margins, and potentially training customers to expect discounts. 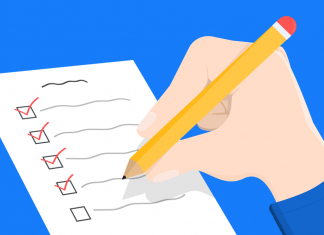 Testing is the way to find the combination of copy, color and size of call to action which performs best, but the key is that it’s easy to find and click. Employing a sense of urgency can help to encourage customers to make a decision about a purchase. Urgency should be used honestly, giving customers real-time updates on stock levels and availability. This is useful as it provides key information to the shopper. It’s very easy to apply in some sectors. Flights, for example, are limited by time and availability, so urgency messaging works very naturally. People often respond better to images than text, so it’s important to ensure that product imagery is effective and high quality. 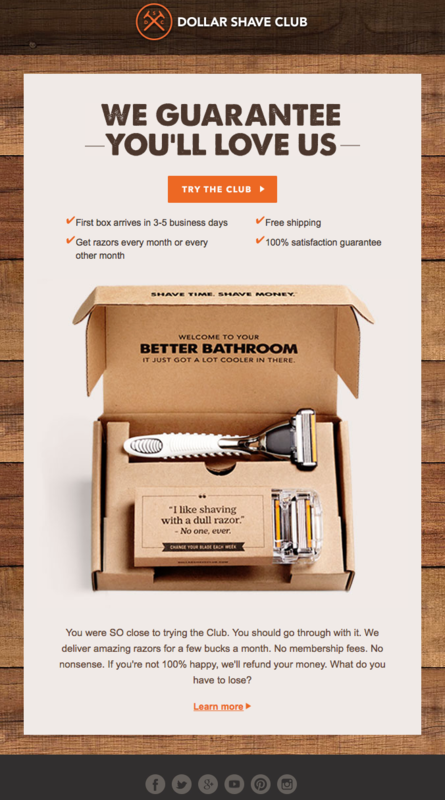 I like this example from Dollar Shave Club as the imagery is good quality and highlights the contents of the package very nicely. According to Bright Local, 84% of people trust online reviews as much as a personal recommendations. They offer reassurance for customers that the product they are considering is a good one. 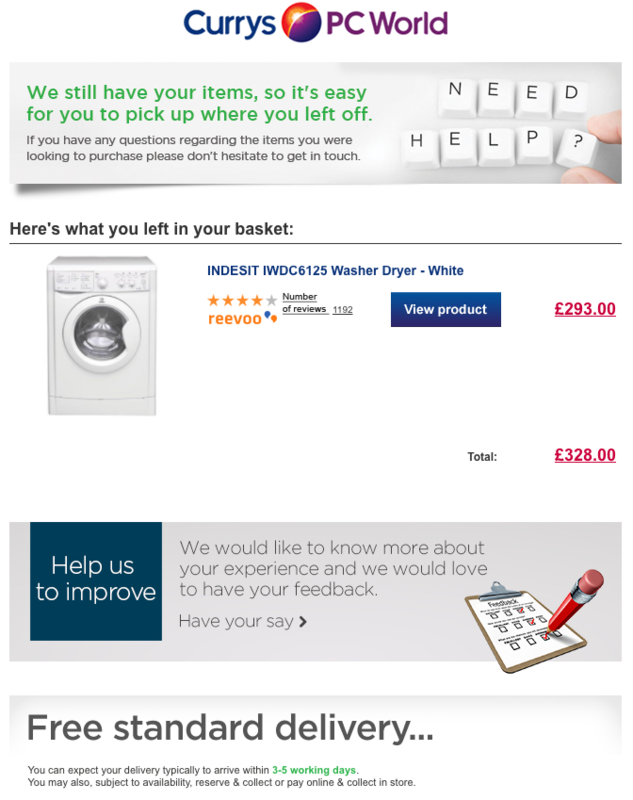 They’re also perfect in cart abandonment emails, where many recipients may still be in research mode. There’s no room for detailed consumer reviews in emails, but a summary of the review score and number of reviews is enough for shoppers to make a quick judgement. According to Bright Local, 84% of people trust online reviews as much as a personal recommendations. 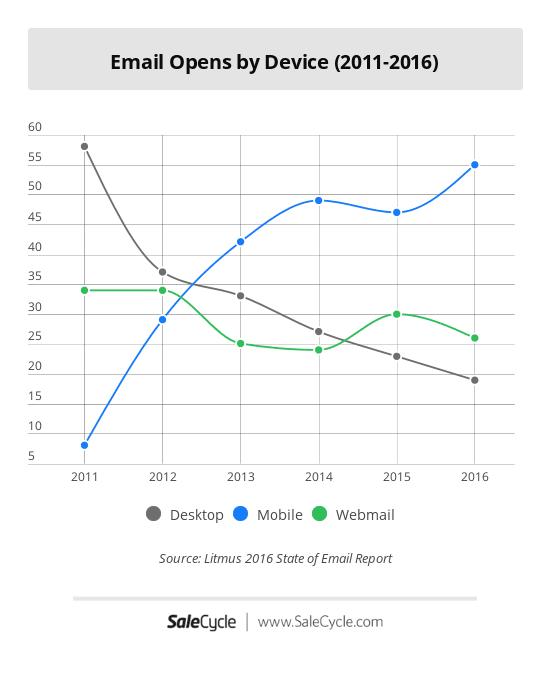 Stats from the Litmus State of Email report reveal mobile now accounts for 55% of email opens, meaning mobiles simply have to work on mobile. Stick with a wide single column format. Respect the smartphone fold. If the content above the fold is relevant, consumers are more likely to scroll down the page. A high-performing email should deliver relevance to recipients and segmentation and personalization can help to achieve this. Segmentation can be used to divide (potential) customers into distinct groups in order to target them with specific content or products. This can include age, gender, geo-location, propensity to purchase and more. Personalization aims to provide relevance at the individual customer level, using customer data to target them more effectively. This data can be used to recommend relevant cross-selling options based on a customer’s purchase and browsing history. Our stats show that recovered sales tend to have higher average order values than direct (non-abandoned) sales. One way to increase order values is to recommend extra products. These may be products related to the main purchase (cases for laptops etc) or items that the customer has previously shown an interest in. Cart abandonment emails are more effective when they are tested and optimized for find the best performance. A/B tests can be carried out on design elements such as imagery, messaging, or calls to action. For example, we’ve improved conversions for clients by changing the color and contrast on CTAs, or by moving key elements to more prominent positions. We’ve found that messaging around shipping (especially free shipping) can make a difference. This is often included in or near the email footer, but moving it to a more prominent position can work wonders.